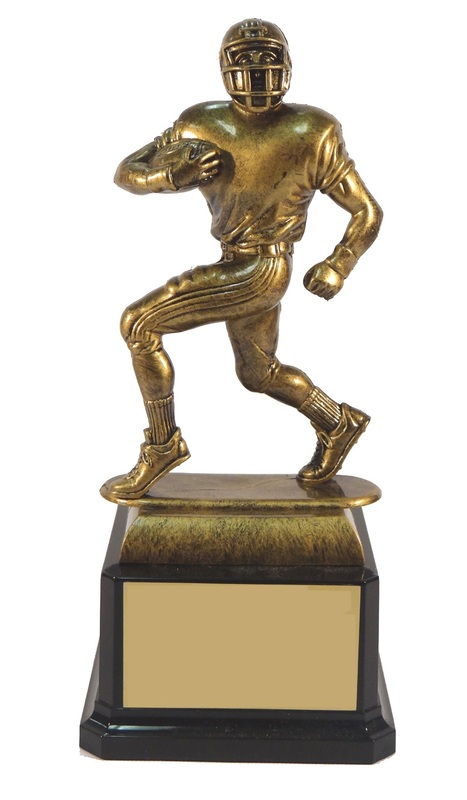 8" Tall Bronze Football Trophy on black base. Price includes 3 lines of constant copy engraving. Add $ .50 per trophy for any line or name change. If you are ordering more than 1 award, you can place the order for the amount of awards you need and e-mail the engraving on a separate e-mail to sales@victoryawardsandtrophies.com . Please include your name and transaction ID in the separate e-mail.